Over the past few years, there has been an increasing interest in the use of food-grade lubricants for machines operating in the pharmaceutical industry. While these lubricants can be beneficial, several other factors must be considered. Modern machinery used in the production of pharmaceuticals generally requires minimal or even no lubrication, particularly in sections of the production line where the product or its packaging is processed. However, other machines with chains or moving components near the production line may need lubrication, and the lubricant recommended by the equipment manufacturer might not always be classified as H1 food grade or certified according to the ISO 21469 standard. In these cases, it must be determined whether the machinery should be lubricated with conventional lubricants or if there are specific requirements for selecting an appropriate lubricant. 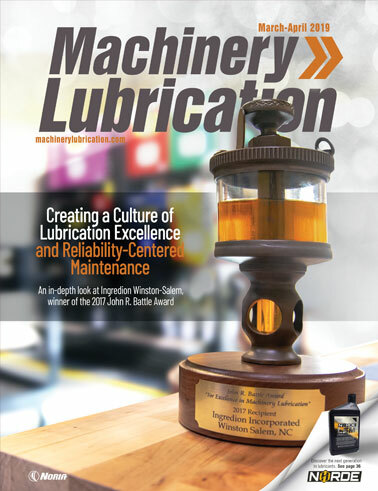 Lubricant selection should begin by considering the lubrication needs of the component or machine in terms of the load, speed, viscosity and application method. Once these parameters have been defined, additional requirements must be taken into account, such as food-grade properties. While the use of food-grade lubricants is widely accepted in pharmaceutical facilities, these H1-registered or ISO 21469-certified products are primarily intended for food-processing plants and applications in which there is incidental contact with food. From this information, it can be concluded that machine operation should be free of lubricants in sections or components where exposure to a pharmaceutical product or its packaging may occur. Keep in mind this regulation does not specify that lubricants should not be applied in machinery utilized for pharmaceutical production, but rather that lubricants should not come in contact with the drug product. Moreover, while lubrication routes would not be expected in equipment sections that are exposed to the product or its packaging, it is possible to lubricate isolated machine sections. This last statement allows for the use of food-grade lubricants in exposed areas of the machine. However, this should be addressed and documented properly. The FDA also permits the use of lubricants in a manufacturing facility or in isolated machine sections when there is no risk of contact with the pharmaceutical product or its packaging. When a lubricant is needed in an area that is exposed to the drug product, the potential impact should be analyzed to ensure it will not be detrimental to the product’s intended fitness for use. This requirement is stricter than the criterion for food-processing machines, which allows a maximum lubricant contamination of 10 parts per million. In general, sealed-for-life or non-lubricated components should be the first choice for machinery components. Food-grade lubricants are a good option for isolated production machine components that need lubrication. Of course, proper cleaning and sanitizing practices will be required after the application of lubricants within the production area. In CFR 21.211, the FDA provides guidance regarding lubrication practices and machine maintenance used in the manufacturing, processing and packing of pharmaceuticals. 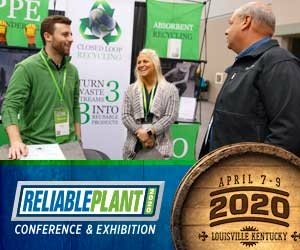 It emphasizes the importance of maintaining clean equipment and establishing written procedures, including lubrication procedures. If a lubricant change or lubrication issue could impact product quality, written records are required to be kept relating to the affected product batch. However, routine maintenance such as lubrication does not have specific record-keeping requirements. For effective lubricant selection in pharmaceutical facilities, one of the first steps should be to classify machines by the application. For support services equipment not located in the production area and that have no potential contact with production machinery or the product/packaging, it is possible to use H2 lubricants, which are not intended for food-grade (incidental contact) applications. These types of machines would include pumps, compressors, gearboxes and hydraulic systems involved in the supply of water, compressed gases and energy. Most lubricants (non-H1) in the market fulfill H2 requirements, while only a limited number have a formal H2 registration. If a compressed air line for production machines requires lubrication, an H1 lubricant would be a good choice. 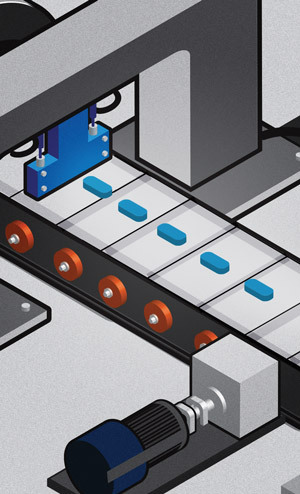 Machines or machine components that are situated in the production area but with a physical barrier blocking exposure to the locations where products and packages are processed have no formal requirements for lubricant selection. However, food-grade lubricants may be preferred to maximize safe maintenance practices related to the production machines. 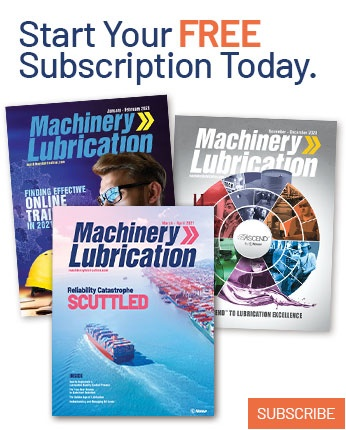 For components like sliding ways, chains or conveyors that have the potential to contact drug products or packaging, further analysis is recommended to identify the components’ true lubrication needs. Determine whether these pieces must be lubricated, and if so, what lubricant type, application method and frequency would be suitable. For instance, a chain can be lubricated with oil, grease or dry spray. Clean-room applications may demand the sterilization of tools and machine components. If lubrication is needed, it may be necessary to use not only food-grade quality but lubricants previously sterilized through thermal treatment (autoclave) or gamma irradiation. In these cases, lubricant selection should include additional performance requirements such as high oxidation, chemical or radiation resistance. Special storage and handling procedures may also be required. Whenever possible, switch to sealed-for-life or non-lubricated components to eliminate lubrication tasks as well as potential lubricant contact. Typically, the pharmaceutical industry utilizes relatively smaller machines and components than other sectors. The equipment also tends to operate in controlled environments. These favorable conditions facilitate the conversion to a sealed-for-life or non-lubricated asset. This recommendation is intended for production areas, but it can also be beneficial if implemented across the facility. In certain circumstances, an ISO 21469-certified lubricant may be preferred over a lubricant registered as H1 food grade. While both classifications involve food-grade lubricants for incidental contact with products, the ISO certification “reviews the level of quality control applied to the formulation, manufacturing, distribution and storage of the lubricant to ensure it complies with the highest standards of hygiene.” Both classifications are managed by NSF International. Finally, be sure to follow the established protocols for change management and keep a record of all lubricant conditions, analysis, decisions and actions taken. For official recommendations and regulation interpretations, contact the appropriate federal organization. The FDA’s Division of Drug Information may also offer further assistance.